“Why does my mouth taste like old pennies?” Have you ever had that metallic taste in your mouth? To when you almost expected to find a 1975 penny buried somewhere in your oral cavity? It’s weird, yes, but it’s also quite common. According to Dr. Michael Rabovsky, Chairman of the Department of Family Medicine and Vice Chairman of the Medicine Institute at the Cleveland Clinic, the cause of metal mouth is usually harmless. Of course, this is not always the case, as we’ll get to in a moment. In this article, we’re going to discuss five main reasons – and a few others – why you get metal tang on your palette. We’ll wrap things up by explaining how you can manage and prevent the metallic taste in your mouth. Physiologically, a metallic taste and other taste disorders surface from changes to the olfactory sensory neurons. Through interaction with the taste buds, olfactory neurons help produce the sense of taste. The nerve endings in your taste buds communicate with sensory neurons in your brain to identify the taste of foods and beverages. As with any mechanism involving complex messaging of the senses with designated parts of the brain, one’s sense of taste is a combination of various processes. Because of this complexity, things can – and do – go wrong. Though having a condition altering your sense of taste may not seem altogether harmful, dysgeusia can be both difficult to manage and stressful. Further complicating matters is that fact that solving impaired sense of taste is very difficult. To be more specific, pinpointing the cause as either diminished sensitivity or distorted perception is a considerable medical challenge. Because of this, accurate diagnosis and treatment can be evasive. Chemotherapy is the treatment of diseases, particularly cancer, using chemical substances (usually medication). Impaired perception of taste is quite common for patients receiving chemotherapy treatment, with around 56 percent of patients reporting symptoms. Dysgeusia is even more common in patients undergoing radiotherapy and chemoradiotherapy, with 66 percent and 76 percent of patients reporting symptoms. It may take as long as three to four weeks for the former group to experience said signs. Chemotherapy medications may produce changes in the body resulting in a metallic taste. Drugs known to induce a metallic taste include cisplatin, cyclophosphamide, nitrogen mustard, and vincristine. Other related causes of dysgeusia include nerve damage from radiotherapy, mucosal infections, and tumor location. Zinc deficiency is perhaps the leading cause of metal taste in the mouth – and potentially the most overlooked. Found in cells throughout the body, zinc plays critical roles in cell division, cell growth, digestion of carbohydrates, and wound healing. Researchers estimate that zinc deficiency affects about 17 percent of the world population – including 35 to 45 percent of adults over the age of 60. Sometime in the last 20 years, scientists began to discover and study the effect of zinc on smell and taste. It turns out that the metal zinc has an intricate relationship with the olfactory nerves and taste buds. Concerning the former, medical experts concluded that nasal sprays containing zinc might cause anosmia, the loss of smell. Upon further examining the data, researchers posit that zinc deficiency also causes impaired taste and a metallic taste, although researchers are unsure as to the exact mechanism. 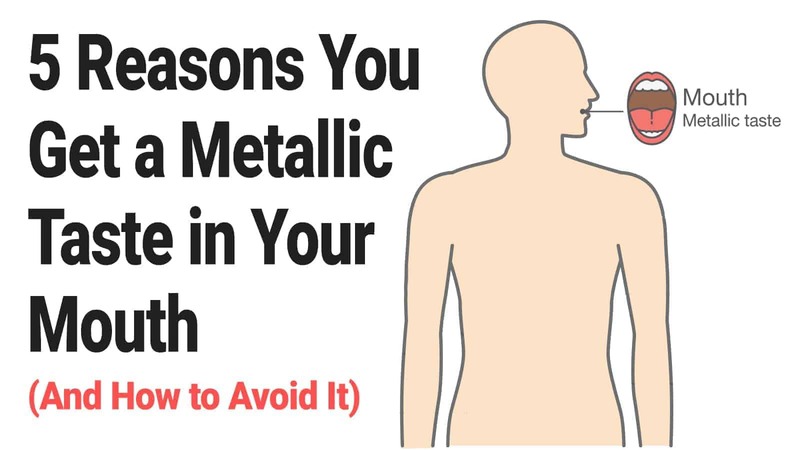 Deficiencies of vitamins B12 or D may also produce a metal taste. Some of the more popular pharmaceuticals known to produce metal taste as a side-effect include: acetylcholine inhibitors, anesthesia (post-exposure; common in dental anesthetics), antibiotics, anticholinergics, anti-thyroid drugs, Adenocor (adenosine), angiotensin-converting enzyme (ACE) inhibitors; Rocaltrol, Calcijex, or Decostriol (calcitriol), clindamycin (antibiotic), ethionamide, flecainide, gallium nitrate, lithium, lorcainide, metformin, metronidazole, methocarbamol, oncological chemotherapeutics, phenytoin, and tetrofosmin. By no means is the above listing comprehensive. Make sure to check with your doctor if you are on any prescription medicine and experiencing a metallic taste in your mouth. Also, many of the drugs mentioned above are specialized and only prescribed for particular medical conditions. As such, seek the advice of your healthcare professional before altering your dosage. Known medical conditions that may produce a metallic taste in the mouth include Bell’s palsy, cancer, CNS disorders, common cold, diabetes, ear infections, head injury and trauma, gingivitis, kidney or liver problems, periodontitis, and respiratory or sinus infection. While any of the above conditions may produce dysgeusia (or parageusia) as a side effect, the most common medical conditions those that act on the ear, respiratory system, and central nervous system (CNS). Women in the early stages of pregnancy may notice changes to smell and taste, including a metallic taste. Finally, not properly caring for your mouth can leave a nasty metal taste. 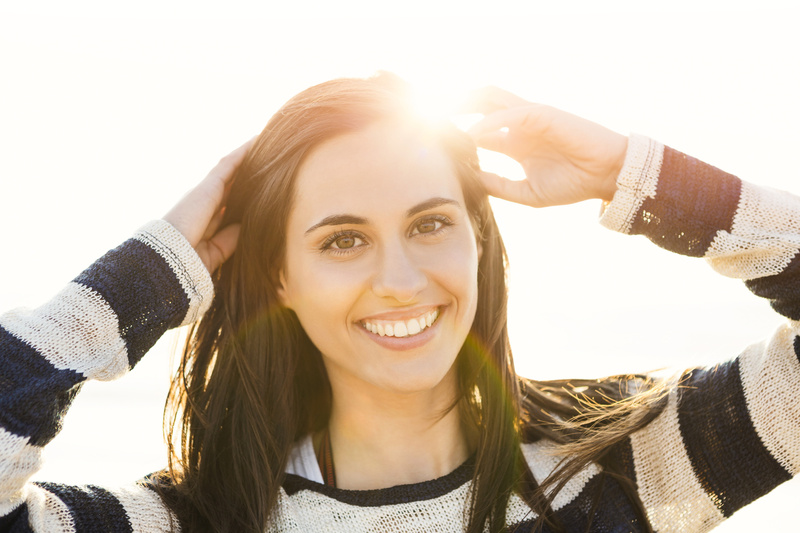 Neglecting your teeth may lead to gingivitis or periodontitis and, eventually, gum disease. An oft-overlooked aspect of proper oral care is scraping (or brushing) the tongue. Bacteria live on your tongue that may produce a metal taste, as may food particles and other debris. While mouth rinses may kill some surface bacteria and germs, it will not penetrate the surface of the buildup, meaning that you must brush or scrape to eliminate it entirely. Before discussing how to avoid and prevent the nasty metal taste, it is important to understand when to see a healthcare professional. If you’ve been unsuccessful in eliminating that metallic taste, see a doctor to check for any underlying medical condition. Medical professionals who specialize in the treatment of ear, nose, and throat disorders are called otolaryngologists. Your doctor may refer you to one. Now, depending on the cause, there is sometimes little that can be done to prevent or avoid the metal taste in your mouth. If the taste is caused by an acute illness, such as a sinus infection or common cold, the issue should go away once the virus has left your system. Experiment with different food types, spices, condiments, etc. Remember to practice good oral hygiene. Brush and floss at least twice a day and scrape your tongue at least once daily. Use non-metal cooking, eating, and serving tools.